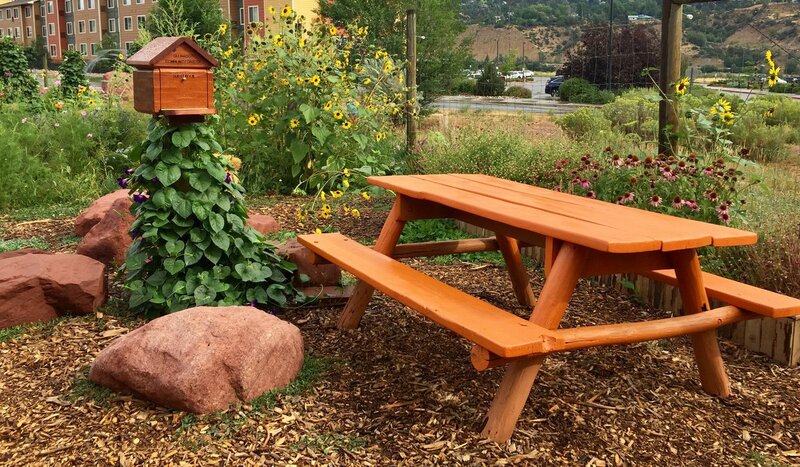 Flanked by a striking natural landscape at one end and parking lots, big box stores, and development at the other, the garden’s location along Wulfsohn Road near the Glenwood Meadows shopping center seems a curious one at first glance. 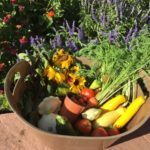 Dig a little deeper, though, and its champions—both the leaders who keep it running and the gardeners who work its plots—will tell you that the garden is situated perfectly right where it’s at. 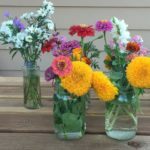 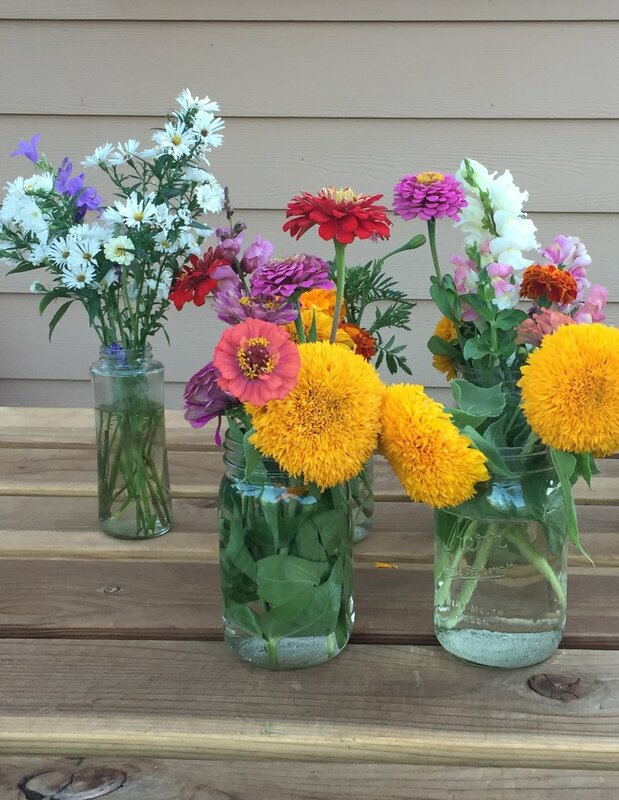 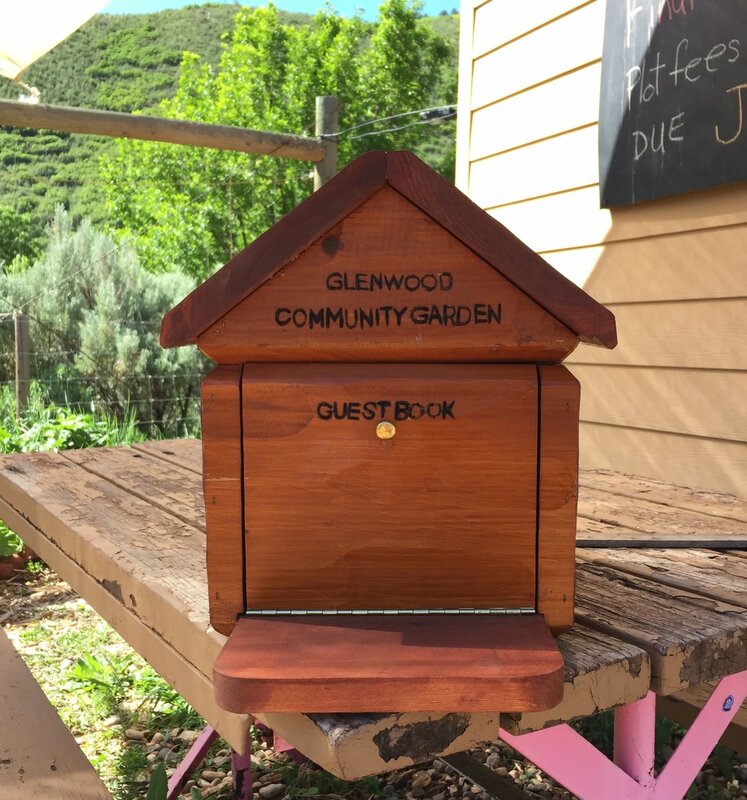 In the decade since the Glenwood city council granted the garden’s founders permission to realize their vision for an official public growing space, Gauthier-Newbury notes that the nonprofit garden has evolved into something much bigger than simply a place to grow flowers. 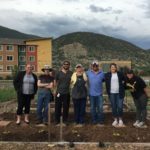 In recent years, it has served as an important intersection of education, volunteerism, food donation, and local ecology as well. 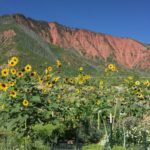 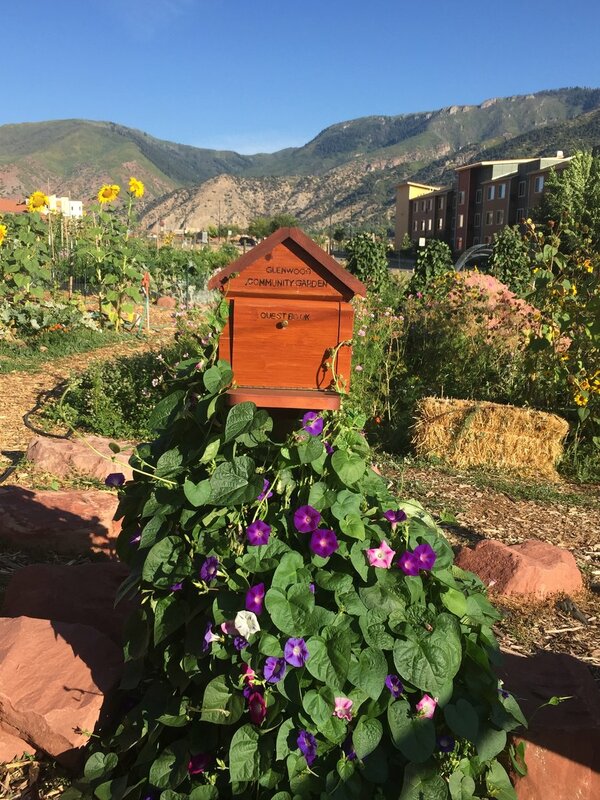 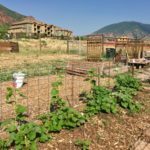 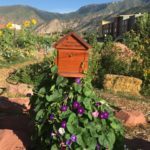 The garden also keeps six donation plots managed by Garrison, which have produced thousands of pounds of fresh, organic produce for Garfield County Senior Programs’ nutrition services. 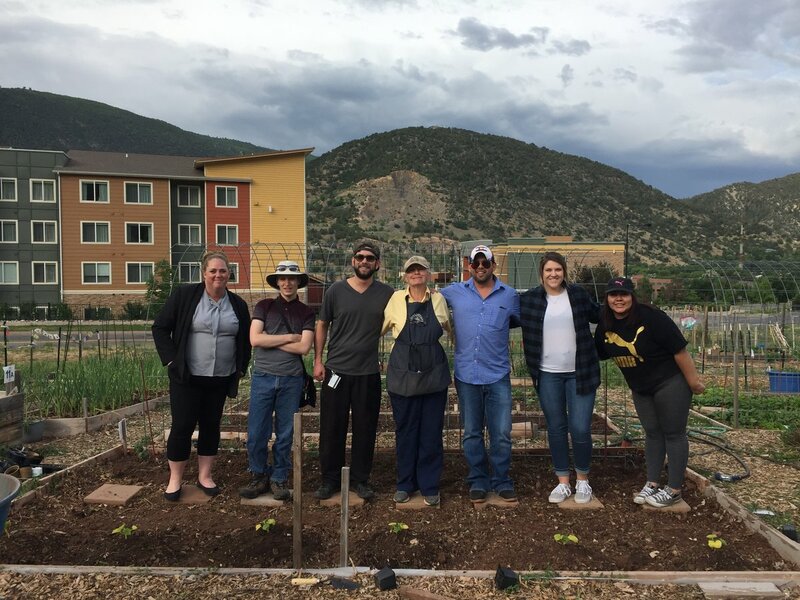 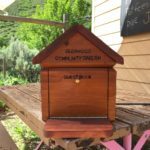 To celebrate 10 years of successful growth, the Glenwood Community Garden will host a special farm-to-table dinner on July 18, during the blissful height of summer. 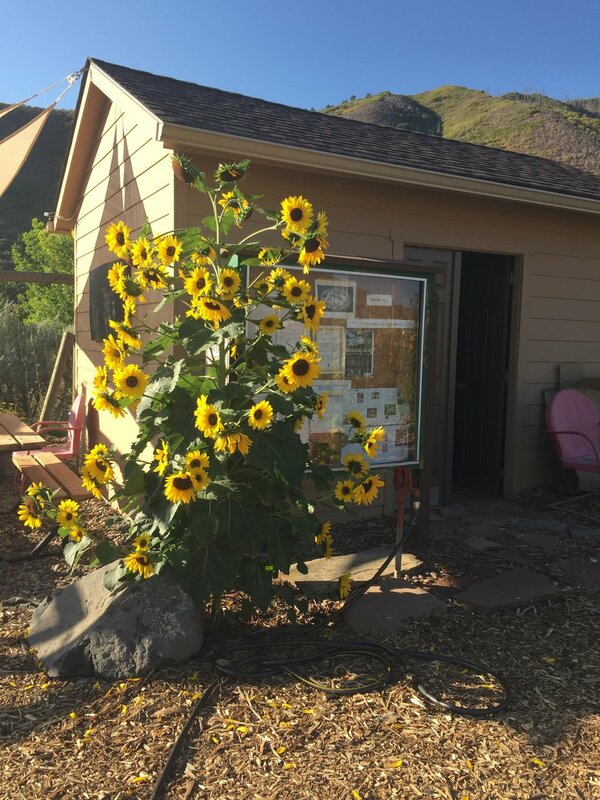 It is also offering informal open house hours from 11 a.m. to 3 p.m. every Saturday throughout the month of April, when interested locals can stop by to meet Garrison and other gardeners for more information about getting involved. 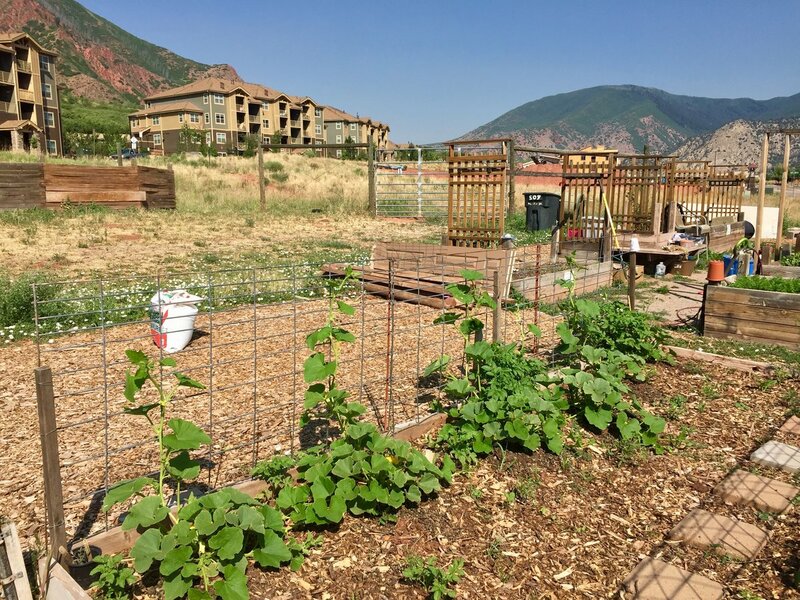 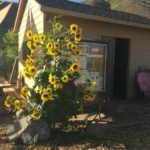 Plots are still available for the 2019 season; applications are available at GlenwoodCommunityGarden.com. 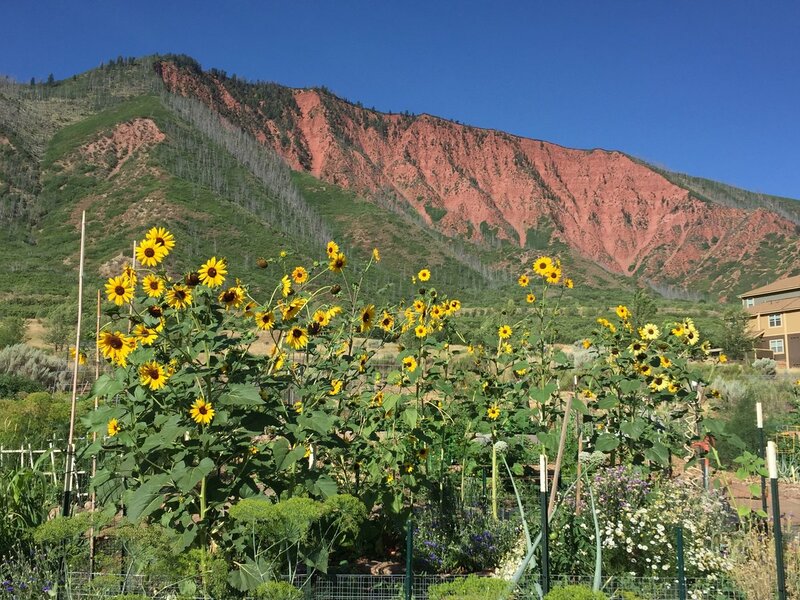 And even if digging in the dirt isn’t your thing, the garden is still open to the public for strolling and admiring others’ efforts. 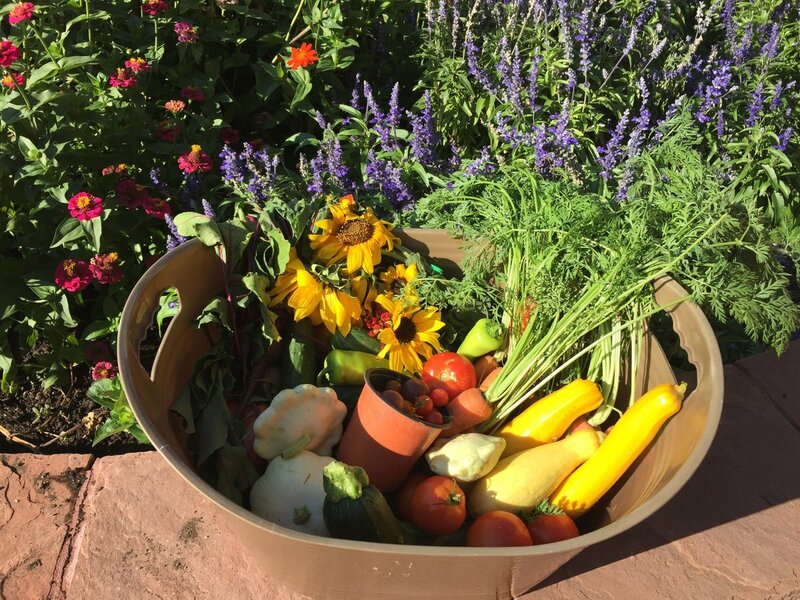 Visit this year and look for Garrison’s impressive squash hoops, for example, and for fruits, vegetables, and botanicals of all kinds lovingly tended by Glenwood locals. 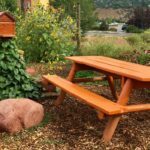 Or, just walk through and enjoy the area’s peace and quiet.